Click here to see HD resolution version on YouTube. Click here to download the Verilog and ModelSim files used in this tutorial. 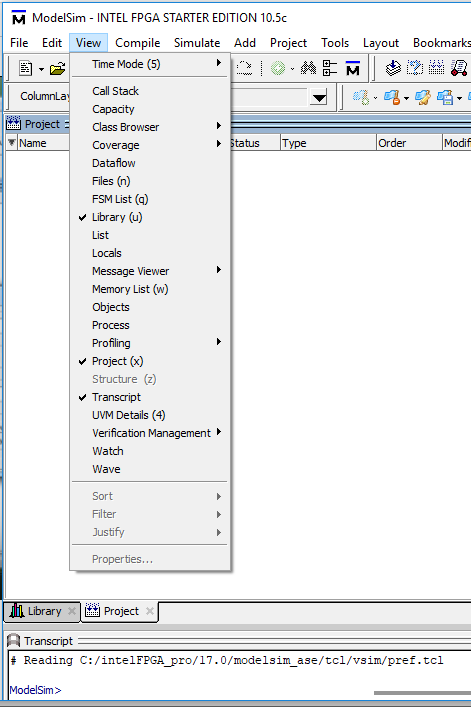 Note: If, when you run ModelSim, you don't see the Library or Project tabs as mentioned in the beginning of the video, then seleect View and then check the items Library and Project. I also suggest downloading/installing the latest version of ModelSim-Intel FPGA Starter Edition (Intel bought Altera) from this location. It is a very good free version and you will just need to sign up with Intel for a free account in order to download it.